I hope today finds you all doing well. The project I have to share with you today is one that a friend and fellow demonstrator, Tonya Treat created for our holiday party project. She did such a great job, that I wanted to share it with you. 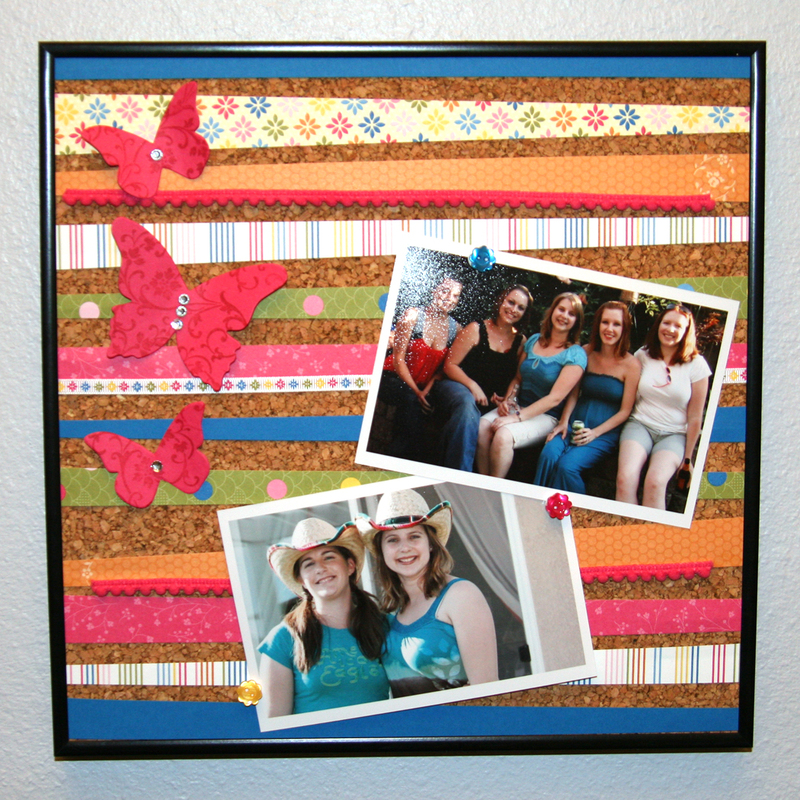 Tonya created this cute cork board using the Ice Cream Parlor DSP and Ice Cream Parlor Ribbon & Button Pack from the Sale-a-bration catalog. She attached the buttons onto flat head push pins and added a bit of Pompom Trim. I wanted to be able to hang my cork board on the wall so I bought a metal frame and removed the glass. It is stylish and functional. Stampin’ Up supplies can be purchased on my website.